With more traffic going towards your store, you might start thinking about adding banners for advertising your partners or your other websites. 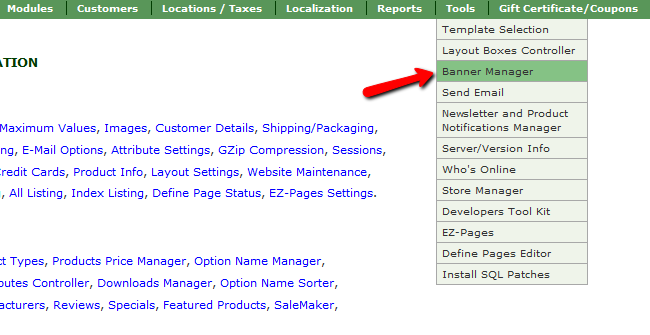 Adding and configuring a banner won’t take you more than 5 minutes thanks to Zen Cart’s Banner Manager. To start off, you will have to login to your Admin Dashboard and navigate to the Tools>Banner Manager from your main admin panel. Once there you will be able to see all of the current banners on your website along with statistic regarding their views/clicks and status (active/inactive). Click on the new banner button to start configuring a new banner. 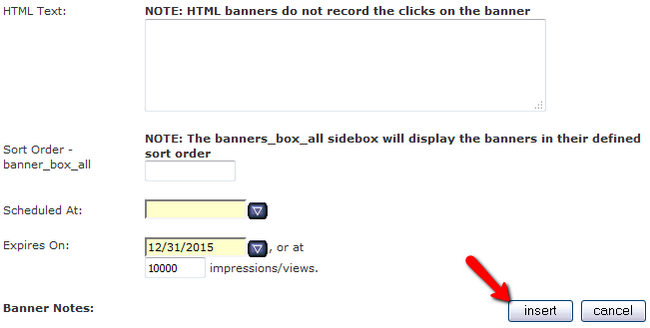 Expires On – If you want the banner to expire on a specific date or after a certain amount of impressions/views add the value in the bottom field. 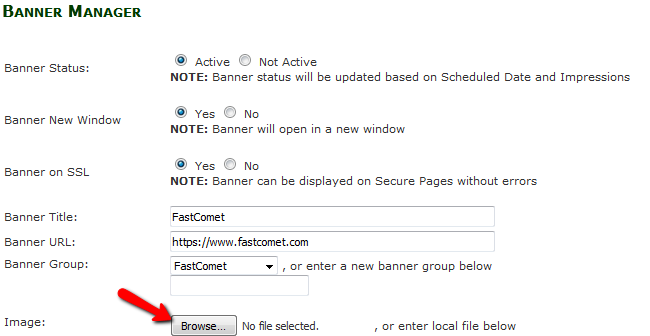 When you are ready click on the insert button to finish the configuring and create the banner.